7-SEG RGB click carries a full color single 7 segment digit display. The click is designed to run on either 3.3 V or 5 V power supply. It communicates with the target microcontroller over the CS, and PWM pin on the mikroBUS™ line. 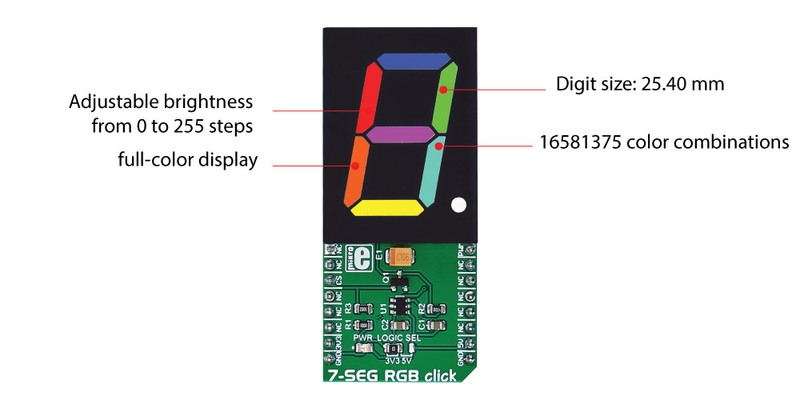 7-SEG RGB click carries a full-color single 7 segment digit display. The click is designed to run on either 3.3 V or 5 V power supply. It communicates with the target microcontroller over the CS, and PWM pin on the mikroBUS™ line. 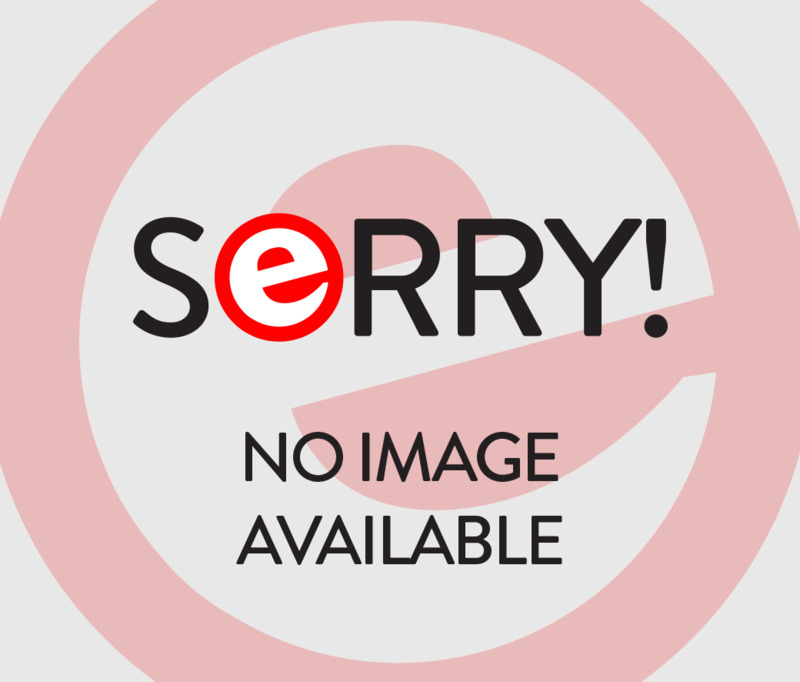 The click can be connected in a chain, in order to display a larger number of characters. Unlike with conventional 7 segment displays, you will be able to use multiple colors on the display. Each segment has R, G, B LEDs that can be adjusted in 255 steps and therefore 16,581,375 color combinations are available for each segment of the digit on the display. Also, the ability to control the brightness of all the LED's is driven at 255 steps. It should be noted that the brightness values above 80 should rarely be used.